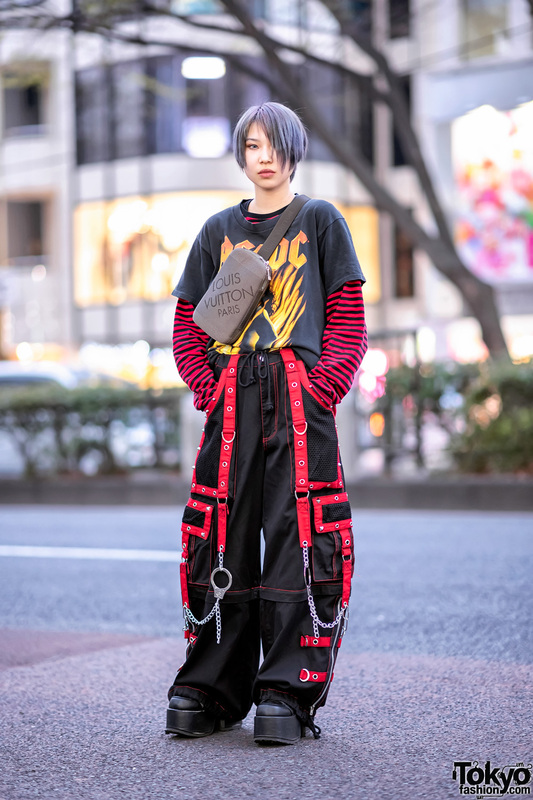 Miho’s rainbow hair caught our eye in Harajuku. 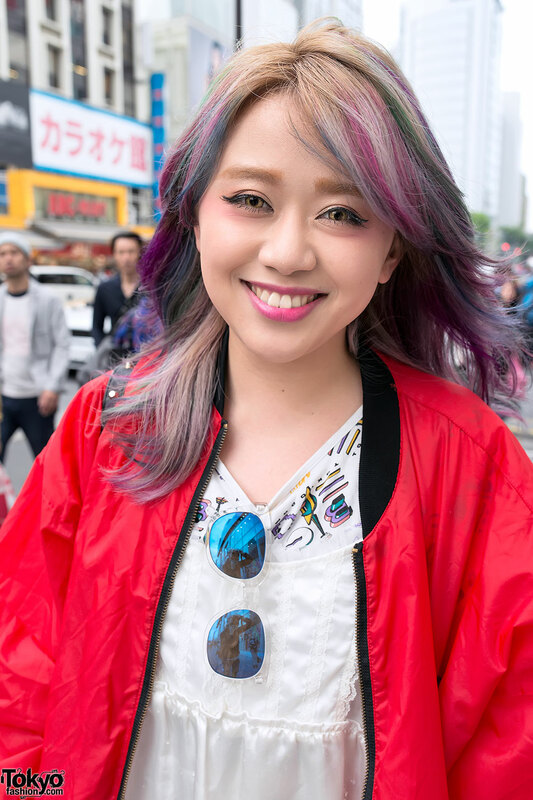 We found out that she works in the PR department of the Japanese fashion brand LDS (Love Drug Store). Miho is wearing a vintage Michiko London (by Michiko Koshino) jacket over a vintage/resale lace top with America Apparel shorts and LDS platform sandals (with heart cutouts). Her cute quilted chain purse is also from Love Drug Store. Miho’s favorite brand is LDS and she likes the music of Katy Perry. For more info and pics, check out her personal Twitter and Instagram. The hair+eye combo she has going is freakin’ awesome.